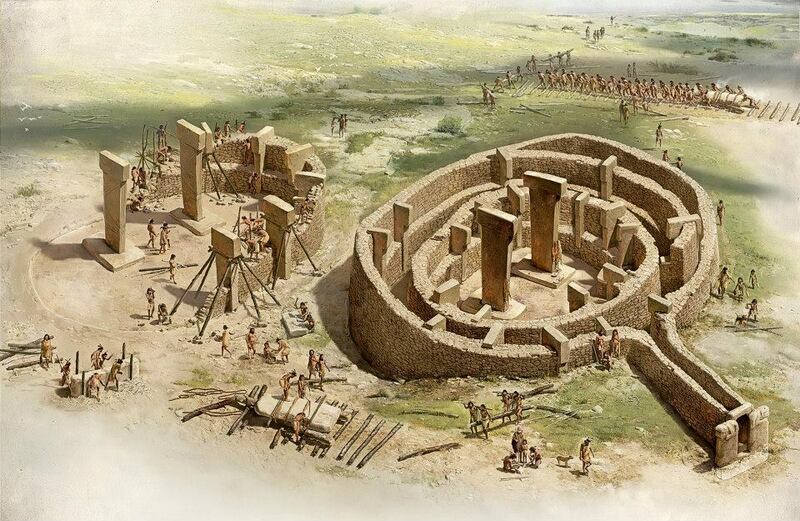 Artists rendition of what Gobekli Tepe may have originally looked like. Gobekli Tepe means Belly Hill.in Turkish. In 1995, a buried Temple Complex was discovered that was first built in 10000 BC. 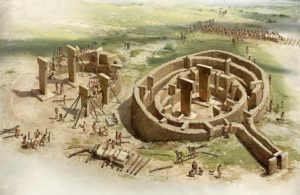 It bears a similarity to the much younger (3500 BC) Stonehenge and, like Stonehenge, it is suspected that it was a religious site and a astronomical instrument used to track the seasons. It’s great age, well before civilization is thought to have began (Sumer and Egypt around 3500 BC) begs the question – What happenned in the interim ? What might have happenned is a catastrophe that changed the nature of human social development and gave rise to a persistent mythology of an idyllic Golden Age.